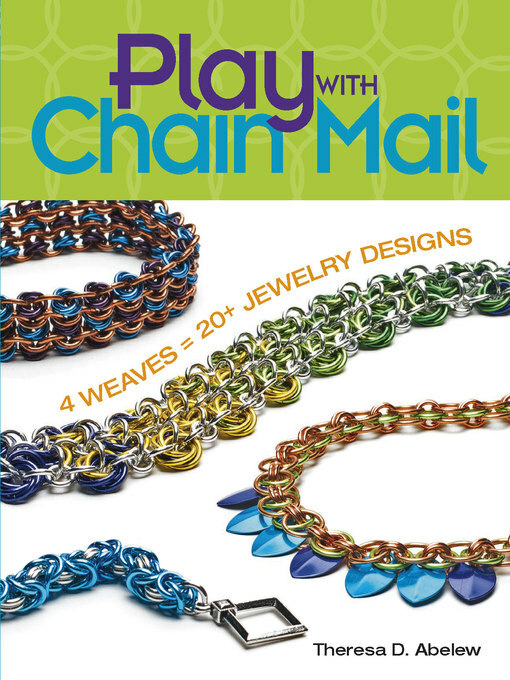 Play With Chain Mail focuses on using color, proportion, and scale to create multiple contemporary updates to popular weaves. This book is based on four chain mail weaves, Box(including Byzantine), Rosette, 4-in-1, and Helm, each weave is used to make five different jewelry projects. In addition to bracelets and necklaces (each with a twist on the traditional weave), author offers smaller, quick-and easy projects, such as earrings. Almost all the projects are made from affordable copper and colored aluminum; readers will be able to make lots of variations without a huge material investment. This book also offers even more bonuses: A handy chart shows readers at a glance which projects use a specific size or gauge of jump rings (all of the projects in this book can be made with a limited number of different-sized rings).